Transfers Palma, private service transfer, tour, airport, golf, weddings, cycling, private services Mallorca transfers door to door. Many years of experience in the transport sector provide Majorca Transfers with professionalism and commitment. We are a company “on wheels” dedicated to transporting services in Mallorca. Coach rentals, transfers and bus excursionsto the most excellent spots Majorca are just a portion of the administrations to address our customer's issues. We make their experiences Bus Mallorca something special. Our administrations and assets are 100x100 streamlined and adjusted our clients individual and individual needs, in order to provide them with the most exclusive service and to guarantee the quality of each of them. Ask us for an estimate by email and we will send you your quote without any obligation. Vehicles with driver from 4 to 55 seats to perform any type of service in Palma de Mallorca. We are specialized in the hire of coaches, Wide availability of vehicles to cover any need: tourist trips, congresses, school transports, dinners and meals, bachelorette parties, business dinners, transfer from Palma airport to Ca'n Picafort, hotels, groups, direct services for tour operators, travel agencies, visits to Palma, fairs, incentives, concerts, restaurants, festivals, sports camps, sports teams, seniors, associations, cultural visits, sports activities, family getaways, corporate events, school routes, study trips, extracurricular activities, party bus, circuits, cruises, passenger cars for cruises, Transfers from Palma airport to Alcudia. Plan your trek and discover to organise your bus transfer: it´s easy! You just have to inform yourself about our services and we take care of all the details, offering a 100% customized benefit adjusted to your own needs, at the most competitive price. Our expertise is at your disposal. We have a fleet that guarantees comfort so that you can relax on the road and listen to your favourite songs while looking out of the window or while reading that book you enjoy so much. Palma Transfers Our company specializes in Majorca Transfers, regardless of whether your trek identified with the business or in the event that it is a family trip, the arranging alternatives of your excursion currently on our site, we have options for all types of transfers from the typical airport transfers to the complex organizations for events, congresses and conventions. Palma Transfers is your option to rent a car with a driver. Of the many important details, transportation and transfer are one of those that can save you or give you any problems, depending whether or not you are prepared. Let's face it, good tourism means efficient ways to move around your destination and this translates into visiting more places, in a more comfortable way, without haste or unnecessary worries. From the moment we land at the airport, this is a detail we want to resolve in advance, what transfer service is best for me? What type of service does the local market manage?. We find satisfaction thanks to our dedication and search for the best deal, together with quality and competitive price in the market. vehicles for discretionary transport as for regular transport, equipped with the most advanced security systems; ABS brakes, Belts, reclining seats, emergency exits, anti-tilt. In Transfer Majorca. The first thing is to choose type of service it requires? The first thing you have to know is that in Palma Transfers and transfers are private and non-stop, direct from one point to another, without wasting time. We are the possibly the best car rental company with a driver, Palma Transfers taxis up to 4 seats, minibus up to 19 people, and bus with 55 seats. If you’re on business you may prefer to plan ahead and include the service of Private Transfer that will take you from the airport to the hotel and from the hotel to any point on the Balearic Island, with fully qualified drivers who know every corner of Mallorca. If you’re travelling with family the smart option is to schedule your shuttles or taxis with enough date to make the most of all the touristic sites. Even family vacations can sometimes become stressful, so don’t add to an unnecessary headache and be prepared to book your Transfer Majorca. Another very important and logical factor is that Transfer Majorca can offer a variety of price ranges to accommodate different customers and their specific needs. Contingent upon your gathering you can browse the assortment of choices advertised, you’ll find every type of vehicle carrying from 4 up to 55 seats, minivans, minibuses, coaches and minivans, taxis and minibuses, Transfer Majorca all concentrating on influencing your excursion as agreeable as it to can be. Transfer Majorca offers you opportunity to carry on with your activities without worrying about how to get from place to place, simply center around getting a charge out of and having a great time on your outing. You can go out hiking or go out on an excursion and have your vehicle waiting for you at the end of the tour, or you can visit the museums and churches with your group and book a minibus or shuttle to make transport more comfortable and pleasant for everyone. To book your service with Transfer Majorca means no queues and a more efficient space management in general. It has been seen and pointed out how the increasing trend of using private vehicles have cause many operational problems when it comes to exiting or entering the premises due to strong congestion by private automobiles, something which can be avoided by the use of transport services. Transport Palma, There’s no question that technology has changed the way we travel and has made it more accessible to a wider crowd, providing an incentive to visit other places and ultimately becoming acquainted with different cultures. If you consider yourself and your group a more adventurous outgoing type you can take a look at the hiking and cycling routes, o walk the famous dry stone wall with its length of 50 km. Majorca transfers. The land in the mountain range is mostly privately owned so a guide is always recommended to do the route safely and properly. The Wall has many spots along the way for traveller hikers to stop for rest and refreshments. You can always choose from walks along the coastline to deep mountain excursions into the Tramuntana. You’ll have to decide whether you want to play tennis or view the coast in a boat trip, or even under the sea, as you can scuba along the coast if you want to. So do you require transport Palma to your hotel only? 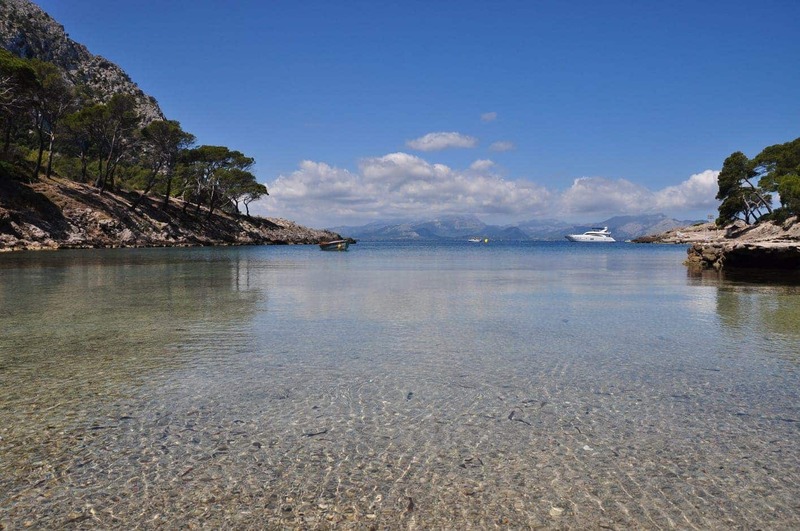 Do you want to book a service for many days for a different touristic destination in Majorca? Transfers Palma, It’s an understatement to say how necessary a proper guiding and efficient Majorca transfers service can change the experience of the trip completely. The more prepared you are the more you’ll be able to just sit back, relax and let everyone else help you have optimum vacations or business trip possible without the stress of thinking how much of the site you’re missing due to poor planning and lack of proper transport. Not only that, the strain on location to park facilities and increased air emissions make the private cars more of a problem than a solution for users also. This is the reason why many travellers are now choosing shared ride shuttles as an option to avoid the hassle of finding a parking on duration or the long queues to enter or leave the airport. Even with the use of private cars shuttles and transfers are being taken from distant position park lots to the airport to car rental facilities. Quality and safety are the basics of our companies´ philosophy. What counts most at Transfer Mallorca are you, what's more, our employment for benefit gives us the chance to furnish you with exceptional encounters, as we see everything through the customers´eyes.Anyway your trek will resemble, we can offer you solutions that adapt perfectly to your individual needs. Our highly skilled staff at Mallorca Transfer will assure that your transfers on Mallorca are safe and comfortable. You are planning a stag party? We make sure you don´t worry about the transfer. You are getting married and are looking for a transfer for your guests? – We are here for and because of you! Because we know how important that special day is for you! You are looking for a specific round trip? Our chauffers will be glad to offer you a safe and relaxing transfer. There are no problems, but only solutions. Following this philosophy, we work daily on safety and comfort improvement, in order to guarantee an entertaining and easy road trip. We specialise in transfers Bus Mallorca, individual transfers, excursions and events. At Bus Mallorca you will find everything you need at a competitive price for all budgets. All our services are based on reliability, dedication and road safety. We guarantee high quality, safety and comfort standarts, without forgetting to pay attention to the details, to make your outing something more than only an outing. One of the most important aspects to consider as a lone traveller or in a group transportation. In any traveller situation we are always limited by period and our lack of experience in an unknown place, so having a reliable transfer Majorca service will pretty much represent the difference between taking advantage and making the most of your time and resources, or just improvising and missing out on many things you’ll regret later. There are many choices in order to make your Transfers Palma tour easily and without any complications. From the Palma, you can hire a shuttle that takes you directly to the point you will stay and then deal with the company to take a one-day tour around island or Palma de Mallorca. Wedding Majorca can be a party full of emotions and shared feelings. It is a multi-day in which you can be close to your dearest ones and where you can esteem their dialogue. You will have the chance to rejoin your dear companions and relatives that you have not seen for a considerable length of time. That will be a day in which everyone will be excited, good-looking. Spending your holidays in Majorca is one of the most grateful experiences for any single person who visits. If you are a sports lover and likes to play golf, Mallorca offers excellent golf courses and an exceptional weather along with beautiful landscapes. Golf Majorca is the choicest option for those who are fans of this fascinating sports discipline. There are many companies, tourism operators, and hotels dedicated exclusively to the cycling sector as a way of tourism, either professionally, as particular route, any single tourist can know https riding a bike, by going to the signalized routes. 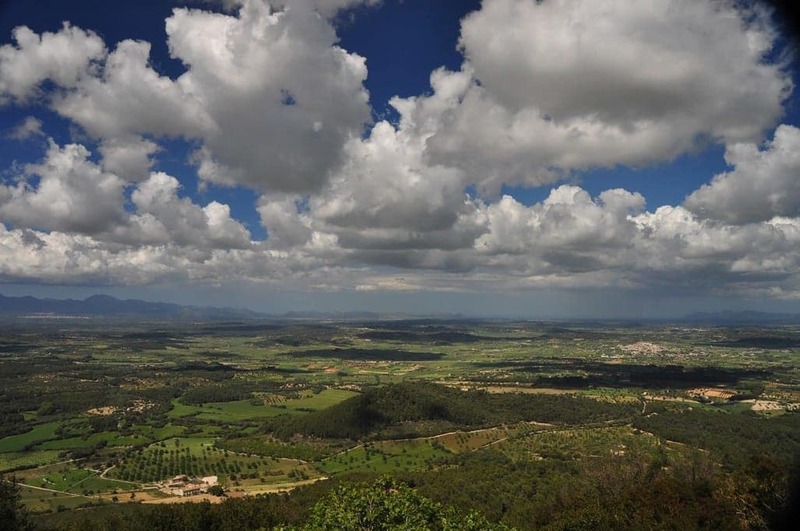 Cycling Mallorca means fun, eco-tourism, and excitement. There are also many Bus Mallorca services available to take you from the hotel to the variety of activities that will avoid any complications. You may book this service in advance to enjoy the tranquillity of having fun without having to wait a long time at the bus stop or having to share transportation with other people that are not necessarily included in the party.